If you want to do something different before you go out for dinner or just want to have some old fashioned fun, go to this place. 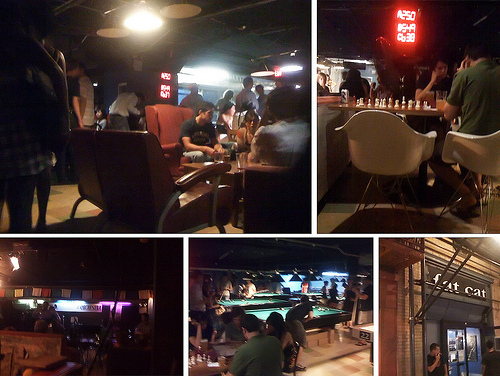 They play live music in a very big open space with randomly placed pingpong tables, Pool tables, chessboard tables and shuffleboards. You order for example a beer and some pingpong balls and for $11 per hour (for a table) you can play as long as you like. Loved it big time!